WOW! 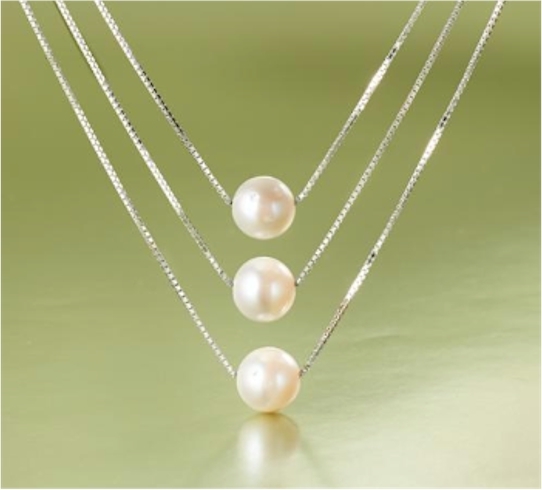 Ross-Simons has dropped the price on this 9-9.5mm Cultured Pearl Three-Strand Layered Necklace in Sterling Silver (18" length) to $69.00 with free shipping when you enter the promo code LUSTER211 at checkout. This 3-strand necklace is just gorgeous and elegant, IMHO. The 20" version is only $72.00 with free shipping, using the same promo code. 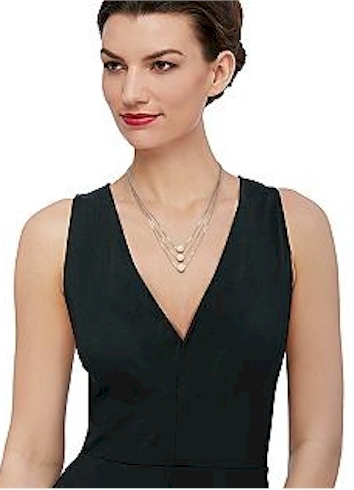 Description: Our pearl necklace is layered with elegance. We've suspended three sizable 9-9.5mm cultured freshwater pearls from three 0.8mm sterling silver box chains to bring you this clean, minimalist design. It's a fresh and modern way to add the elegance of pearls to your everyday look. Layered strands measure 18", 19" and 20" on the 18" necklace and 20", 21" and 22" on the 20" necklace.. Springring clasp, white pearl necklace.